Remember when the New Orleans Hornets transitioned into the New Orleans Pelicans, unveiling white and navy uniforms that featured an extremely small “New Orleans” lettering across the chest? Well, they corrected that with their new alternate uniforms, which was unveiled Tuesday. Their third set is all red with a new “Pelicans” wordmark, which is a completely better look compared to the original rebranded set. I understand that the red may be a little loud, but at least it’s a breath of fresh air aesthetically. It wouldn’t surprise me if they eventually phase out the “New Orleans” lettering for this in the near future. The Mavericks held a uniform design contest last year and a prototype of the winning design was unveiled on Tuesday. The winner of the competition was Geoff Case, who came up with a silhouette of the Dallas skyline (minus the Reunion Tower), something that we’ve seen before from another Western Conference team. 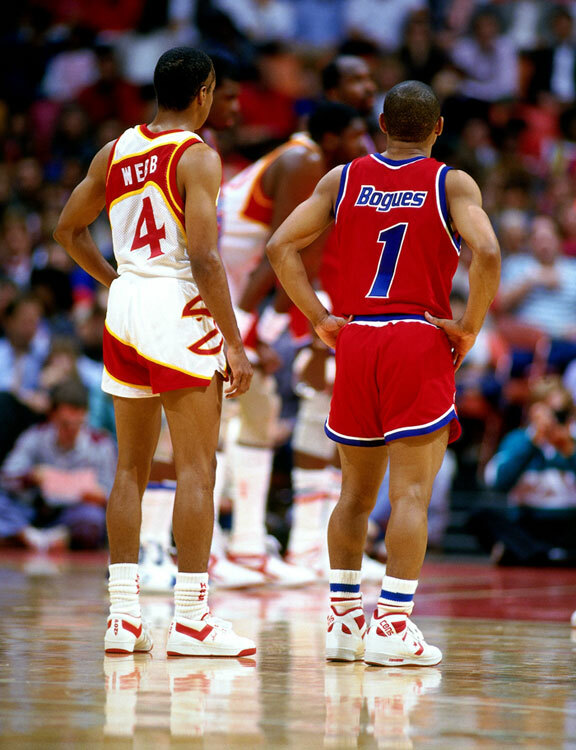 Not sure if Case was inspired by Denver’s rainbow tetris uniforms in the '80s, along with their current yellow skyline alternate set. Mark Cuban will only be using the navy version of his design for eight games starting in the 2015-16 season. At least they look better than those chromed-out garbage bag alternates the Mavericks used in 2003-2004, which was inspired by rapper Sean "Puffy" Combs. On Monday, Al Horford gave his Instagram followers a sneak peak of their new home uniforms. The team eliminated the “Hawks” lettering at home that they have been using since 2007 and have gone with “Atlanta” instead. The only other significant change is the alternate Pac-Man logo on the shorts. 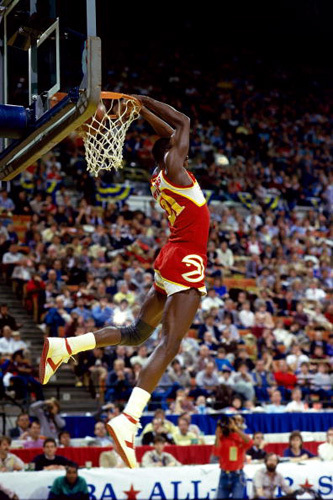 The Hawks unveiled that logo, which stems from the Dominique Wilkins and the Spud Webb teams of the ‘80s, during last season’s playoff run. That same logo will be used at center court this season.